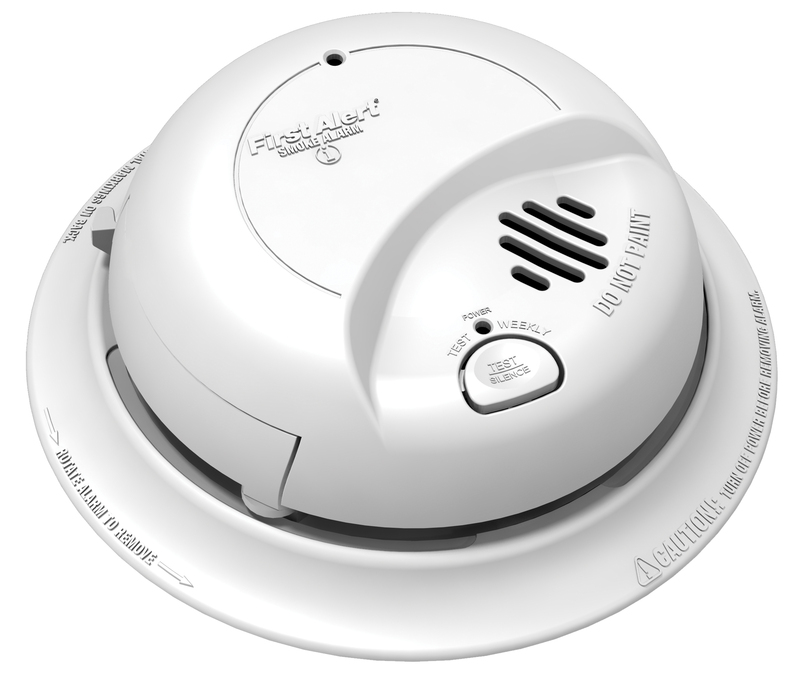 A smoke alarm with battery back-up, latching alarm indicator, smart technology, single button test / silence, perfect mount and a dust cover. Designed for quick and easy installation. Features include a large opening in the mounting bracket for easy access to wiring. A battery pull tab keeps the battery fresh until the home is occupied. A side load battery drawer allows for easy battery replacement without removing the alarm from the ceiling or wall. 18 units. Can be interconnected with up to 12 smoke alarms and the remaining six can be a combination of heat alarms, CO alarms and relays.